Georgia Rose Hardy probably has one of the most magical Instagram accounts I've ever seen. Not only is she an amazing photographer with editing skills that make you think you've stepped into a fairytale she's also a wonderful model with hair that could rival Rapunzel's. Dessert has never looked so good. Nectar & Stones's Instagram is a pastel wonderland and they create the most delicate and pretty chocolates, macarons and other treats that look way too beautiful to eat! If you're reading this post then it's more than likely that you already follow Olivia from What Olivia Did on Instagram. But she's my favourite fashion blogger and her Instagram is definitely as dreamy as her blog. Mariah's make-up looks always make me want to throw away my neutral palettes and start experimenting with colour. She inspires me to be more creative and I could watch her YouTube tutorials for days on end. How she hasn't reached 200,000 subscribers on YouTube yet baffles me! Her Instagram is full of amazing close-ups and everyday shots of her makeup. 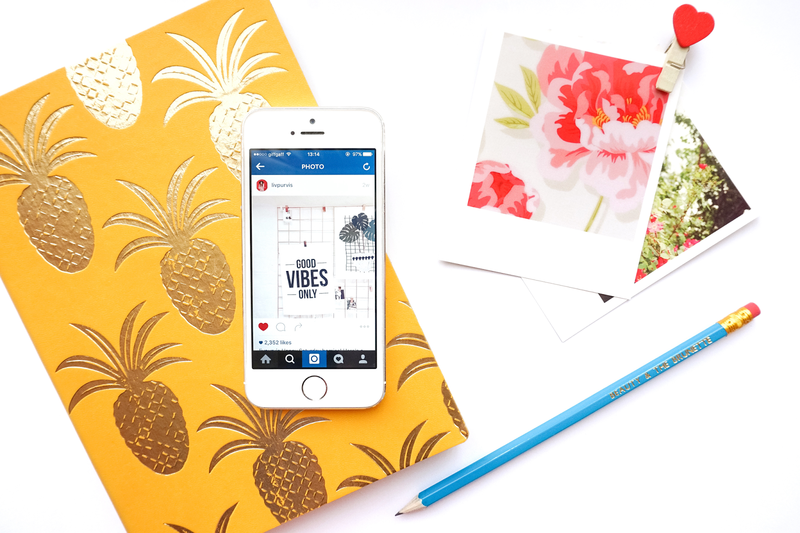 Which Instagram accounts are you currently obsessing over? I'd love to know which ones you think are worthy of turning on your notifications for!